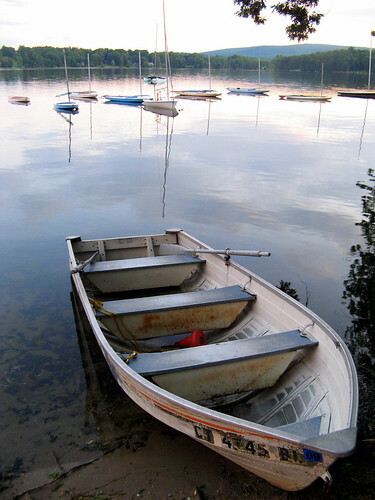 Boats on the lake, originally uploaded by jahansell. I like how this photo is composed. It's very lovely and definitely projects calm and serenity. It does make you want to climb in the boat and take a leisurely float. I agree with you completely that the boat and scene you've captured are very inviting. The lake is simply beautiful. Sharon is gorgeous. I have driven Route 7 many times wandering north past towns and bridges and alongside the river and been transported to another world entirely. It's a heavenly place.